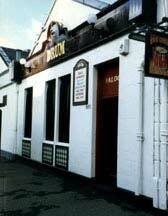 1073 Shettleston Road,Shettleston, Glasgow., G32 7PE.Tel: 01417781344. To read the full history of this popular east end pub click here. 4 View of the interior of the Drum. 2005.